President Dr. Gurmeet Tuli Singh completed his Bachelor of Veterinary Sciences and Animal Husbandry in 1983 in India. 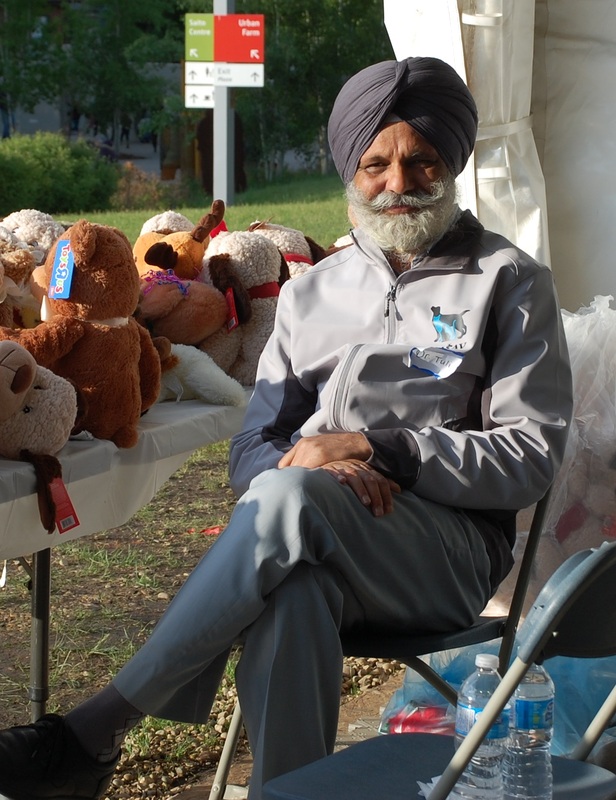 He served in various capacities for the Punjab Veterinary Association from 1984-2004, whereupon he moved to Edmonton and pursued his credentialling to work here. Dr.Tuli has been the owner of Millview Pet Hospital since 2008. His past experience includes serving as a Company Commander in the Army (India) for 8 years and retiring with the rank of Captain, work in India for charitable organizations & social work, management with elections of MLAs and MPs. He is married and has two children. He enjoys playing table tennis, badminton, chess and walking. Dr. Natasha Russell Dr. Natasha Russell is thrilled to be part of an inspiring group of veterinary professionals here in Edmonton! As a board member on EASAV, her current aspiration is to help cultivate strong community ties within all veterinary circles. As a practitioner at Delton Vet Hospital, her daily focus is helping animals by educating her clients the best she can. Dr. Natasha Russell is also busy evenings working with her neighbours and local businesses to help make Alberta Ave. a safe and great place to live. Whilst, she does spend a lot of her free time thinking about how to mitigate issues of inequity and how to set into motion changes which benefit both people and animals in this great city, her passions are not limited to veterinary and civic matters... her other current hobbies include breakfast, lunch, and dinner! You can catch her Ask A Vet article in the Country Asides newspaper or on air for the 630 CHED radio program -Pet Talk- . Dr. Lisa Collis Dr. Lisa Collis is a 2004 WCVM graduate. She has developed a professional interest in dermatology (skin disease) and in the medical conditions of older pets, especially feline and canine diabetes, thyroid, pancreatic and kidney disease. 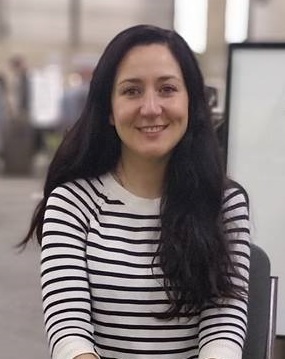 Raised in Brandon, Manitoba, Lisa earned her Bachelor of Science in Zoology from Brandon University and her Master of Science in Anatomy and Cell Biology from the University of Toronto. She graduated from the Western College of Veterinary Medicine in Saskatoon and joined the Delton Veterinary Hospital in June 2004. During her graduate studies, she worked in the research department of the Hospital for Sick Children in Toronto. Dr. Collis previously served as an EASAV director as the CE Chairperson and the President (2010-2011). She was one of 22 recipients of the 2010 CVMA's Emerging Veterinary Leaders Awards. 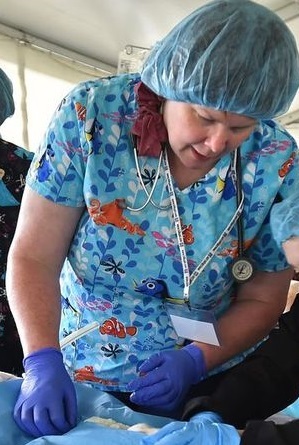 Since 2011, she has served with the University of Calgary as an ‘Adjunct Professor’ teaching a small animal medicine community rotation for 4th year Veterinary Students. In 2018 Dr Collis was elected to serve as Member-At-Large for the Executive Committee of the Canadian Academy of Veterinary Dermatology. In her spare time, Lisa enjoys biking, gardening, camping and hiking, yoga, sewing, baking, playing the piano and reading a quiet book. 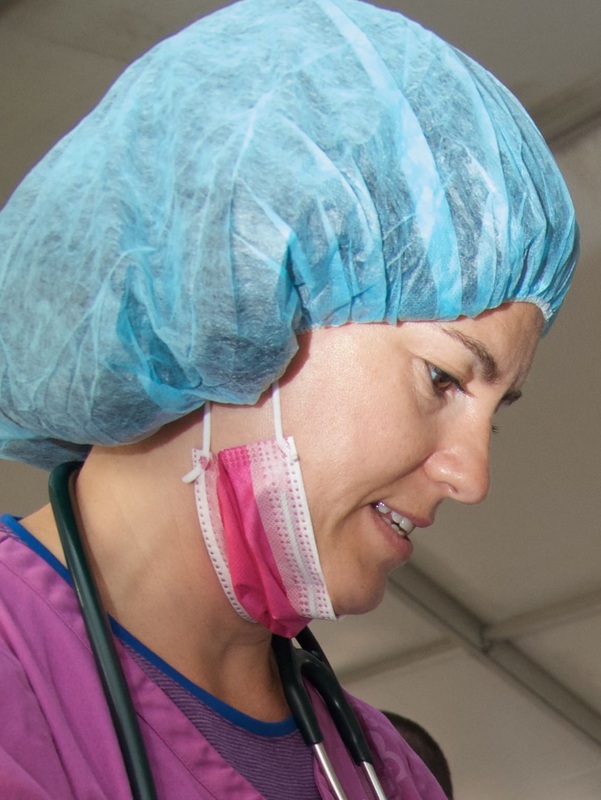 Dr. Clare Leger Dr. Clare Leger is a 2001 graduate from the Atlantic Veterinary College. She has done a large animal internship at the Virginia-Maryland Regional College of Veterinary Medicine. 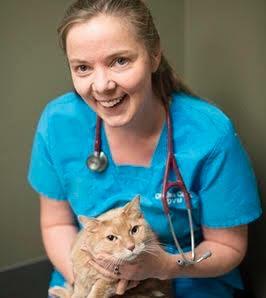 She has been working at the Millwoods East Veterinary Clinic since 2002 and does all of their major surgeries. She also has an interest in pain management. Clare joined the EASAV board of directors in 2015 and has been the CE Chairperson since 2016. She and her husband, Mitch, have 2 daughters, and a very busy black lab named Jess. Dr. Kelti Kachur Dr. Kelti Kachur began her career in veterinary medicine as an AHT. After a few years of work, she went back to school to complete her DVM at the Western College of Veterinary Medicine in Saskatoon. She currently works at the Delton Veterinary Hospital. In addition to routine small animal medicine, she enjoys working with wildlife and exotics. She has volunteered as a director on the EASAV board since 2012 as CE Chairperson (4 years) and EASAV President (2 years). Dr. Cheryl Lewis Dr. Cheryl Lewis works at the Spruce Grove Veterinary Clinic. She is a past volunteer of the Edmonton Association of Small Animal Veterinarians and returned to join the executive in 2017. Dr. Christie Gingras Christie graduated from WCVM in 2000, and began her career at the Spruce Grove Veterinary Clinic shortly thereafter. She enjoys internal medicine, ophthalmology, dermatology, dentistry and soft tissue surgeries. She served on the Animal Cancer Therapy Subsidization Society (ACTSS) for 4 years as a board member in its early days. Christie and her husband have a busy family with 2 children, a golden doodle, orange tabby, and 2 Guinea Pigs. She enjoys watching and supporting her kids in their sports and music. She loves travel, photography, camping, hiking and anything in the great outdoors. When she has a minute to herself, Christie enjoys yoga, workouts, and a glass of red wine. Smokey graduated from the Animal Health Program at NAIT with Honours in 1997. She also holds an advanced french bilingual diploma and has completed a few University courses and extensive continuing education in administration, health sciences and more. Before Smokey began her work with EASAV in 2009, she had worked as an AHT in many veterinary practices across Alberta; she was fortunate to have worked with many veterinarians who had special interests in equine surgery, exotics, orthopedic, ophthalmic and dentistry. Smokey believes that it takes a community to support families and professionals. She has been an active volunteer in her communities since the age of 15. 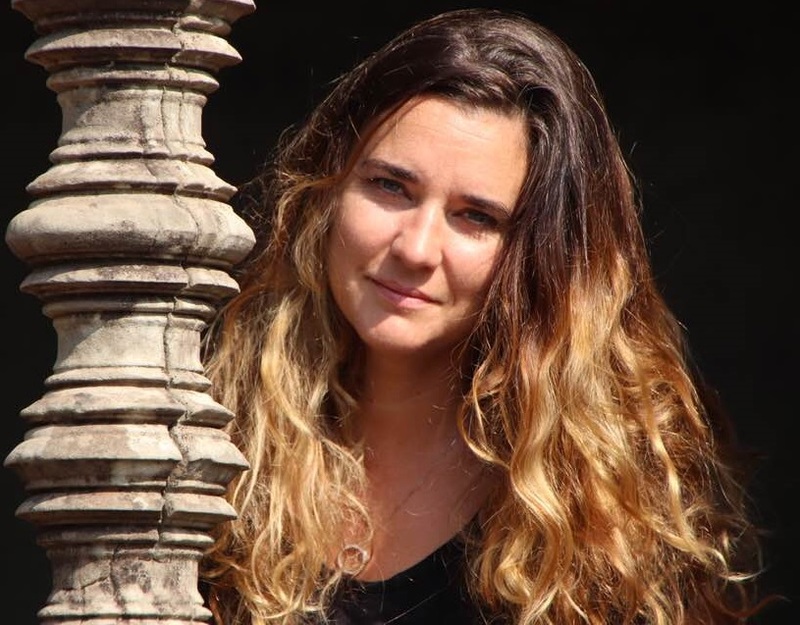 She began with teaching Karate, practicing environmental stewardship and organizing suicide prevention workshops and committees in high school. In her adult years, she took on roles managing at the Yardbird Suite, serving on committees of the AAAHT & the AbVMA, her children's PTA associations, as a running room instructor, soccer coach and more. She is currently the vice chair for the AbVMA Wellness Commmitee and the chair of the NAIT VMA Program Advisory Committee. 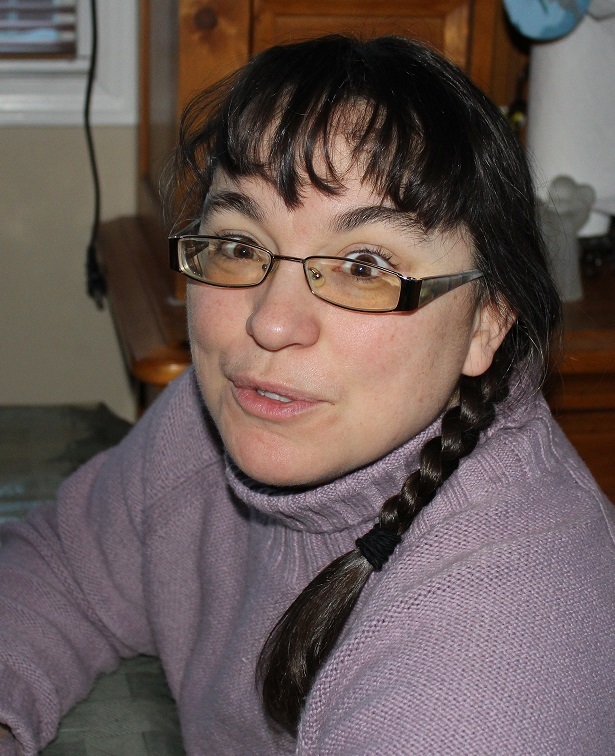 Her favourite past-times include: mothering her two daughters, playing lead trumpet in the CJam Big Band, walking, swimming, canoeing, cross-stiching, gardening, and sewing.